Do we see the consequences of our actions? Do we care? 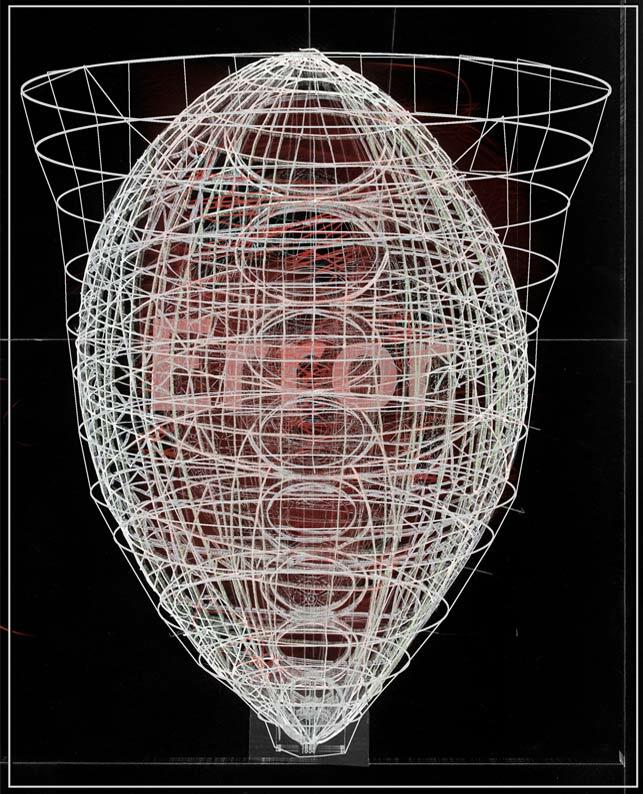 Anssi Taulu works predominantly in the medium of sculptures, but includes environmental art projects, graphics, drawings, videos and collaborative projects with other artists in his large scale installations. Taulu graduated from Kankaanpää Art School in 1994. His major solo shows have been at Galleria Sculptor in Helsinki, GalleriaKONE in Hämeenlinna and Galerie Toolbox in Berlin, Germany. His environmental art project Wasp Factories were built in numerous places in Finland, Edinburgh and London. His works have been exhibited in Germany, Sweden, Scotland, Norway and Estonia. Taulu have public works in Finland and in Utica NY. He is a member of the Association of Finnish Sculptors and Toolbox cooperative. He lives and works in Hämeenlinna, Finland. 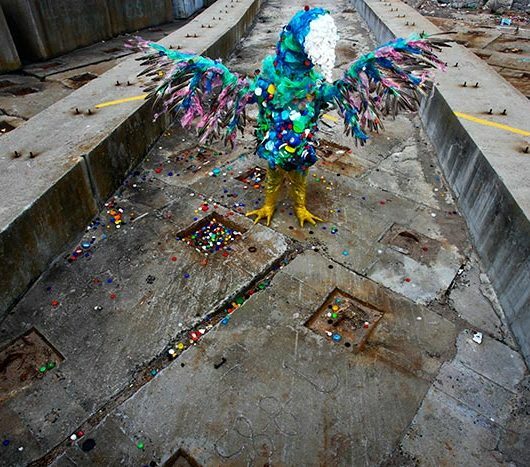 Born in Cape Town, Francois Knoetze is a performance artist, sculptor and filmmaker. He holds a BA Fine Arts degree from Rhodes University and an MFA in Fine Arts degree from Michaelis School of Fine Art, UCT (both with distinction). In 2012 Knoetze featured as one of Art South Africa magazine’s “Bright Young Things” and was recently selected as one of Mail & Guardian’s “Top 200 Young South Africans” of 2015. Knoetze’s work incorporates video, performance and sculpture, as he retraces the life cycles of discarded objects and explores junctures between material and social histories. 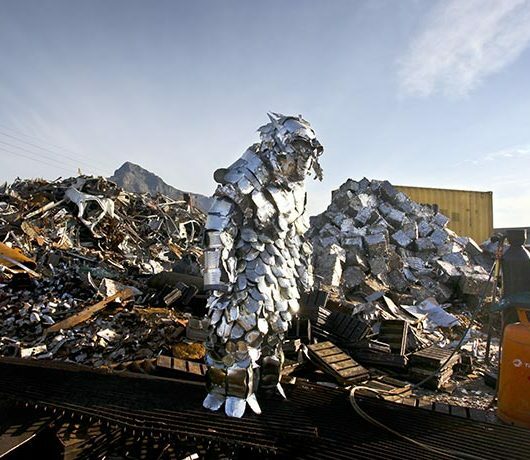 In his Mongo* sculptural suits, the synthetic is welded to the human – bringing focus to the objectification of persons, through the personification of objects. Cape Mongo, formed part of the Grahamstown National Arts Festival Main Programme in 2015. He has participated in group exhibitions, such as U/Tropiaat the Wiener Festwochen in Germany (2015), Slow Violence at the University Stellenbosch Art Gallery (2015) and Designing Futures at the Lagos Photo Festival (2015). His work has also been shown at a number of local and international film festivals, including the WNDX Festival of Moving Image 2015 (winner of the Jury Prize for Best International Work), the 17th Paris Festival for Different and Experimental Cinema, Artvideo Koeln: Audiovisual Experiences in Cologne (2015), Infecting The City Public Art Festival in Cape Town (2015), Usurp Zone5 Film Festival at the Usurp Art Gallery & Studio in London (2015), the FILMIDEO International Film Festival at the Index Art Center in Newark, New Jersey (2015) and OK.Video Film Festival in Indonesia (2015).